Un atelier de 2 jours les 3 et 4 Novembre 2014 pour apprendre les principes du flux en combinant pratique et théorie. Formation en anglais. See below the english description. Full program and clients testimonies at the end of the description. Intervenant : Donald Reinertsen, auteur du livre The Principles of Product Development Flow: Second Generation Lean Product Development. Venez remettre en question vos certitudes et apprendre les principes du flux ! Le déjeuner et les pauses sont inclus. Il est possible de signer une convention de formation afin que cela entre dans les budgets DIF et formation, merci d'en faire la demande explicite auprès de l'organisateur. 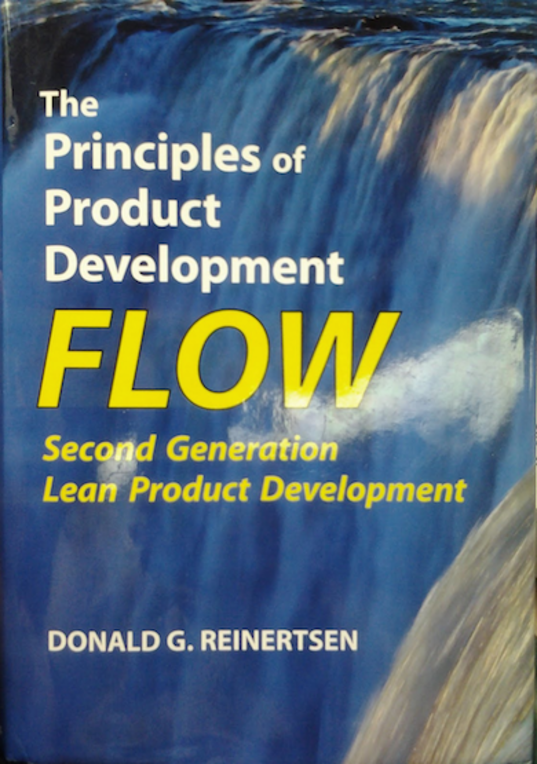 Course Instructor: Donald Reinertsen, Author of The Principles of Product Development Flow: Second Generation Lean Product Development. Join the workshop and come to challenge what you know for sure! Breaks and lunches are included. Finally we have a shared unit to go from the strategy to the functionnal and "vice et versa". => cost of delay ! Most companies that applying lean methods in product development fail to appreciate the critical differences between repetitive manufacturing processes and non-repetitive development processes. Such differences mean that waste is found in very different places. Until this is recognized, companies will only attack easily visible, but superficial forms of waste. Every product development process has multiple economic goals. To balance these goals we must express them in the same unit of measure. This method allows us to quantify the Cost of Delay and to use it to determine the economic cost of queues in our process. Variability is a greatly misunderstood concept in product development. Paradoxically, you cannot add value in product development without adding variability, but you can add variability without adding value. A product must be changed to add value, and this change creates uncertainty. In manufacturing, batch size reduction is the key factor that creates order of magnitude reductions in cycle time. In product development, only 3 percent of companies have formal efforts to reduce development process batch size. Most product development processes neither measure nor control WIP. Yet, excessive WIP leads to long cycle time and slow feedback loops. Effective WIP management requires knowing when WIP is excessive, and having tools to correct this problem. Processes with variability, such as product development, are prone to congestion. Both traffic systems and telecommunication systems provide valuable insights on congestion avoidance and congestion control. Today’s development processes underutilize cadence. Synchronization reduces the formation of queues. When queues form we can reduce their cost by sequencing work correctly. The First-in First-out methods of manufacturing are poorly suited to this challenge. Fortunately, product developers can exploit more advanced approaches that are used in computer operating systems. Slow feedback loops cause enormous waste in product development. Yet, many developers do not measure feedback speed or try to improve it. Well-structured feedback loops actually create spectacular opportunities to smooth flow, increase efficiency, and improve quality. Some product developers see highly centralized control as the only way to improve performance; others argue for complete decentralization. We will examine the lessons that can be learned from military approaches that balance centralization and decentralization. Because product development processes add value in different ways than manufacturing processes, waste is found in different places. Typically, waste shows up in predictable places in development processes.